Does your Dream Predict the Future? It's easy to call our Psychics, Mediums and Dream Interpreters. Simply browse the profiles, note their pin number and then call the appropriate number to talk to the reader of your choice. SPECIAL OFFER: 29p per minute for the first 10 minutes! If this is your first call to our services then you may be eligible for a special discount on the first ten minutes of your psychic reading. For an unbeatable price you can enjoy talking to a top clairvoyant from the comfort of your home. This deal is only open to new customers so give us a try. Try our services for just 29p per minute for the first 10 minutes. (Specials like this available for other countries too - ask when you call). If you live in the UK and are completely new to our services you can give our readers a try with the first 10 minutes of your first call costing just £2.90! You simply need to call our credit card booking line on 0800 067 8600. This is only available to completely new customers paying by credit/debit card. Don’t worry if you’re outside of the UK, if you’re a new customer you can still try us at a reduced price for your first 10 minutes, our customer care agents will advise you of the exact price you will pay. Please see the full terms and conditions below. Craig talks about the psychic phone reading services and what type of readers you can choose. We have psychics, mediums, clairvoyants, astrologers and many types of experts help you with your problems and guide your way forward. Live PRS calls cost £1.50 per min plus your telephone company’s network access charge. Credit card calls cost from 99p to £1.80 per minute. Live Text cost £1.50 each plus standard network rate and you will receive a maximum of 2 messages back. *The 29p per minute offer is only available to new customers paying by credit/debit card. A new customer is defined as a new customer of Stream Live Ltd or any associated partner such as The Psychics & Mediums Network or Dreamsleep.net. If you live in the UK and are completely new to our services you can give our readers a try with the first 10 minutes of your first call costing just £2.90! 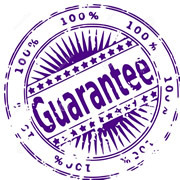 StreamLive are confident that our selected readers can offer the quality and accuracy you seek and offer you a 100% money back guarantee. If you don’t feel connected to your reader within 5 minutes you will be given a full refund. Customers must contact customer services within 60 minutes of their call. This is limited to 5 refunds per StreamLive customer and only available to calls paid via credit/ debit card and subject to verification. Follow us on FaceBook and Twitter for lively debates about Dreams, Psychology and Spiritual Insights.